It's been a little while since we've had some product taste tests. Get ready for a few in a row! What's it been, 2 months since Oreo released a new flavor? Mickey's Birthday Oreos around November 18th? Time for 2 more new flavors. 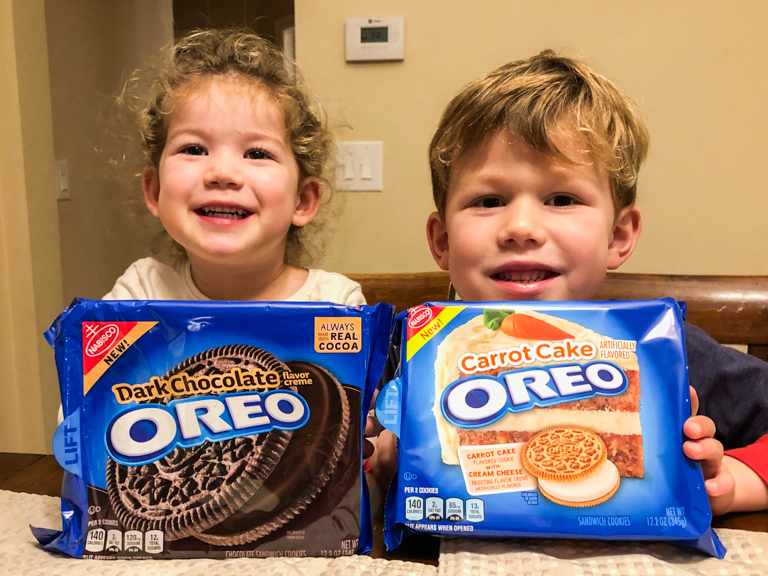 A Dark Chocolate Oreo flavor and Carrot Cake Oreos. You'd think at this point they'd be used to looking at the camera and smiling. We're still working on it though. Eyes tend to wander and smiles look fake until I tell them to laugh. Smile kids. Smile kids! First up, Carrot Cake. These were delicious! 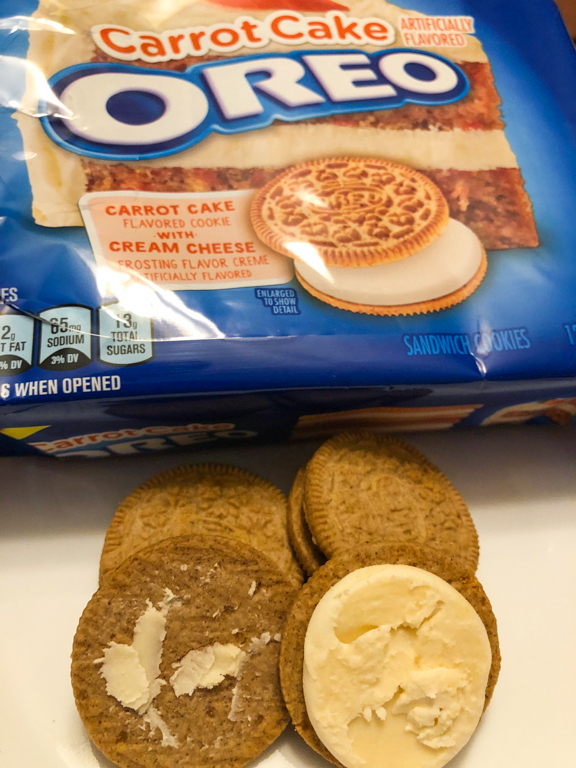 A cookie that has carrot cake flavor combined with a creme filling that tastes like cream cheese frosting. As I was lining up to take the shot Alli out of nowhere yells "Smile Oreos!" Funny girl. 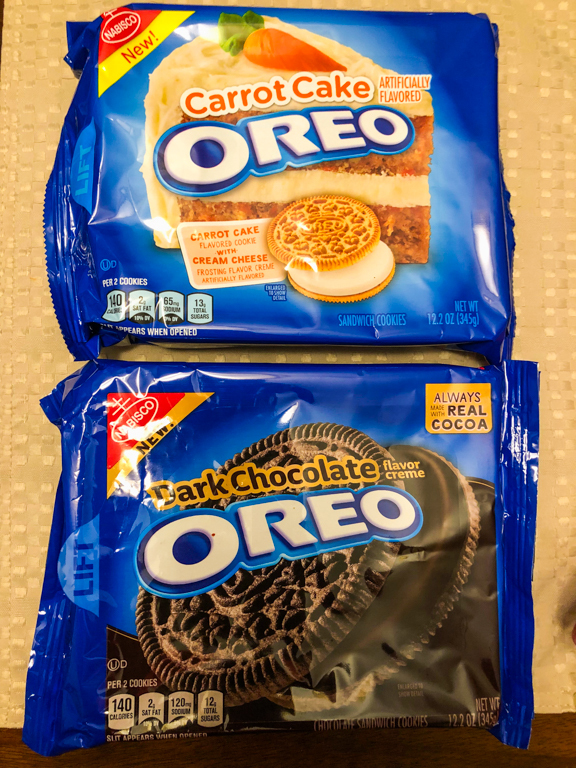 Next was the Dark Chocolate Oreos. Can you see the creme filling in the photo below? It's super dark, even darker than the cookie. Flavor-wise, it wasn't my favorite. I do like dark chocolate, but in this case, I thought it was too dark. 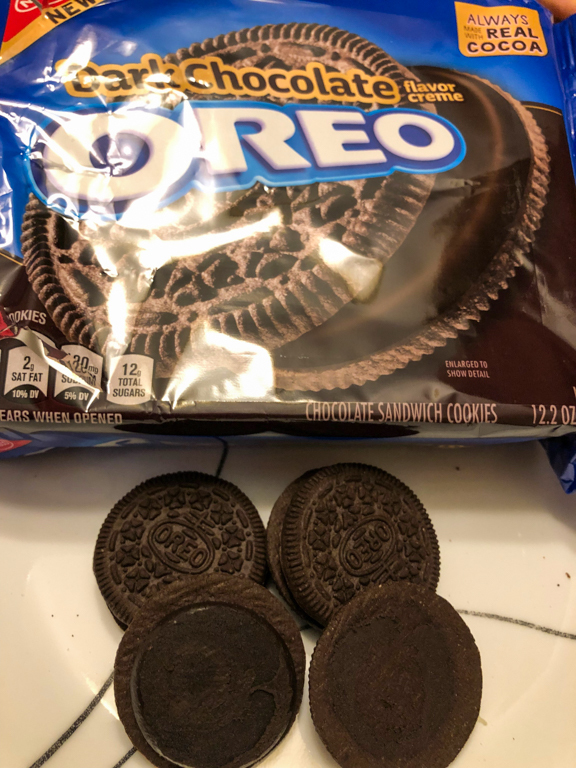 I like the mix of creme and cookie in regular Oreos, and this was just dark dark dark. The kids liked both though. And one extra benefit of that all black cookie is that it stains your whole mouth black when you eat it. 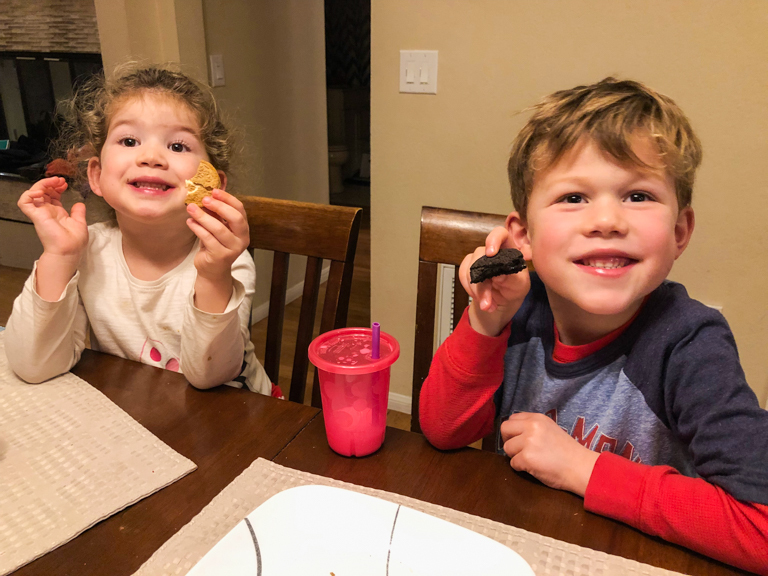 Always love to read you taste test posts! Read this one yesterday at work then headed straight for the store to buy some carrot cake oreos. I could not believe how good they were!! Mine however did not smile for me like Ali's did ;). They did a really good job with them, didn't they. I've heard there's another one coming out for Valentines Day. Have to keep my eyes open for that. Disneyland - Big Hero 6, Big Hero Alli!